The entire plant is used, roots, stems, fruit and leaves, but the resinous root is the part used most often in herbal medicine. The fresh bruised, or dried roots can be taken as a decoction, are made into extracts, and are the source of the essential oil. A magnificent plant to grace your garden, the hollow stems can be candied as well. 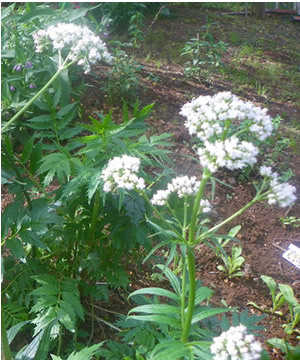 Angelica tea is warming to the soul and body bitter but not unpalatable.. Angelica essential oil is used in aromatherapy. Also available as an extract.